Bleeding Cool has been following the unfortunate case of the Marvel Universe co-creator Stan Lee over the last two years, suffering through illness, the death of his wife and a number of allegations of being the victim of elder abuse. One such charged is Keya Morgan, who was also known for filming videos with Stan Lee in which Stan would confirm what a good friend of Stan that Keya Morgan was and that these allegations of elder abuse were nonsense. Bleeding Cool understands that Keya Morgan took many more videos with Stan Lee that have not been released to the public, but will be released in the coming days. TMZ was the usual choice in the past, but I am told that the Daily Beast and Vulture may have further stories that may include these videos. In his statement, Stan Lee claims that for several months this year, he “was blindsided” by former business partner Keya Morgan and claims that he was lied to and that his life was taken over and controlled by Morgan. That he slowly and methodically interfered with Stan Lee’s relationships with doctors, lawyers, accountants and, his daughter JC Lee. According to the statement, “Morgan would routinely brainwash Mr. Lee with false information about his daughter and her attorney who were monitoring his attempts to control Mr. Lee’s finances.” Eventually, Stan Lee began to believe “everything Morgan said.” According to the statement, Morgan scripted false video statements for Stan Lee to read aloud against those who tried to help him. He now describes them “hostage videos” and asks media not to publish or publicise them. In his statement, Stan Lee states for the first time that Morgan stole hundreds of thousands of dollars from his family and removed many items of personal property from his home. The statement also lionises the role that his daughter JC Lee and her lawyer Kirk Schenck played in his new place of well-being, describing JC as his ‘Avenger’. This can be read in relation to claims that were made by Alan Duke of Crime Stories With Nancy Grace that he went to the police over allegations that JC Lee had physically abused her late mother Joan Lee. There have also been rumours I have been made aware of in recent weeks regarding JC and Stan Lee’s current well being that are likely to be reported elsewhere. 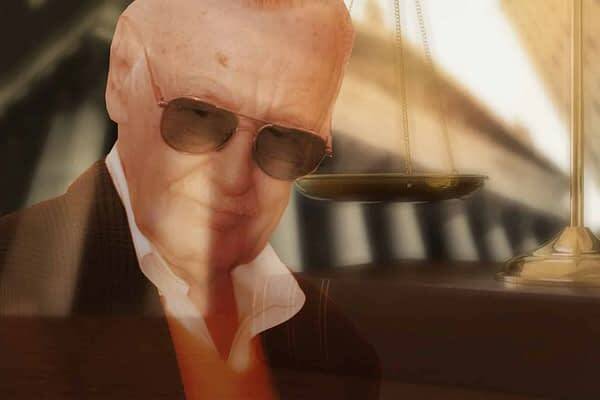 Jonathan Freund, Stan Lee’s personal lawyer, also states “Since Keya Morgan’s exit, I immediately put in place a ‘check and balance’ system where Mr. Lee’s longtime executive assistant, his financial manager, and I are working alongside JC Lee as a team to assure that Mr. Lee is in control, approves of all of his financial, medical and legal affairs, and has no restrictions on his ability to communicate with anyone.” They also state that Keya Morgan’s current whereabouts are unknown to the LA police. We would like to remind readers that there have been many other official statements from Stan Lee over the past two years from tweets that were allegedly not from him, and the Keya Morgan videos. Then there is the notarized statement made by Stan Lee with his former lawyer Tom Lallas who claims he read it out to Stan Lee and had him agree with every sentence, against Keya Morgan, Kirk Schenck, Jerry Oliveras and to a lesser extent, his daughter JC Lee, in their involvement in his finances. Tom Lallas was fired the following day by Keya Morgan on behalf of Stan Lee, and his former business manager Max Anderson who helped facilitate that statement, was excluded from Stan’s life. A much-read Hollywood Reporter article also made claims against all these people. Of late, Keya Morgan was arrested and charged with making false police reports. Tom Lallas applied and was granted an exclusion order for Stan Lee against Keya Morgan, something that Stan Lee’s new lawyers Jonathan Freund opposed, replacing with their own exclusion notice against Keya and opposing the Tom Lallas’ notarized statement. Dated October 6th, this is Stan Lee’s statement. The statement claims that each sentence was written and read out by Stan’s lawyer Jonathan Freund and that Stan Lee agreed with it. Hello everyone. I’m here back in my home with my daughter JC. I could not be happier. I am grateful that I can see and speak with her on a daily basis. My relationship with my daughter could not be better. 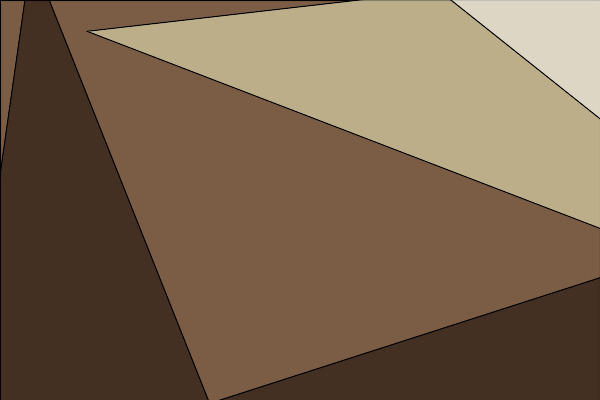 But, for several months this year, I was blindsided by a former associate, Keya Morgan (or whatever his actual name might be). He repeatedly told me lies about my friends and family as he gradually took control of my life. He convinced me to hate my daughter, and others, as they each sought to protect me. In my opinion, from February until June of 2018, I became subject to a type of captivity. Morgan slowly and methodically interfered with my relationships with doctors, lawyers, accountants and, most importantly, my only child, JC. During this time, Morgan would routinely brainwash me with false information about the people who sought to protect me from him. I began to believe everything he said and ultimately fell under his complete control. I now know Morgan misrepresented everything about himself including his qualifications, his accomplishments, and his connections, and he repeatedly lied to me about my friends and associates who would attempt to contact me. I realize that he was merely using me to try to legitimize himself. Despite his statements, I was never a co-creator of anything with Morgan. I now understand from various witnesses that, during this time, Morgan severely restricted my interaction with others including my daughter, attorney, nurses, and other caregivers whom I trusted to assist me with daily activities. Unbeknownst to me, the people who were allowed in my house were threatened with civil lawsuits and false police reports by Morgan if they allowed me to even speak to my daughter and my other advisors. Morgan even initiated the filing of a lawsuit purportedly on my behalf which I never authorized. Without my knowledge or authorization, Morgan recorded and videotaped with his phone many of my personal conversations. I regret that there have been video recordings being distributed by Morgan without my authorization which I completely disavow in all aspects. The statements in these videos are untrue and were a result of my feeling captive and unwilling to defy Morgan. Morgan instructed me to make these “hostage video” statements about my daughter, her attorney, and others in an effort to frighten them away from their continued attempts to access and communicate with me. I’m most upset about Morgan’s repeated attempts to alienate me from my daughter. When she and her attorney tried to help me after discovering Morgan was stealing from, and defrauding, me, Morgan scripted more false video statements for me to read aloud that were designed to further threaten them. Morgan’s threats to release these false videos to the press are simply a vindictive action against JC and Mr. Schenck for exposing his true dishonesty and moral turpitude. I urge that no one pay any attention to these videos or anything Morgan says about me … or any other topic. I have now learned that Morgan stole hundreds of thousands of dollars from my family and removed many items of personal property from my home. I am grateful to my daughter JC and Mr. Schenck for their months of work with law enforcement to help free me from Morgan’s web of control. After nearly three months of control, Morgan forced me to cash out my stock portfolios. Then, at midnight on June 8, 2018, against Mr. Schenck’s warnings, Morgan and his mother snuck me out of my home of 40 years and moved me into an undisclosed “safe-house” apartment without notifying my daughter. Clearly, this was not heading in the right direction. Morgan specifically stated to various witnesses this was done to further limit my daughter’s ability to communicate with me. Within days of the move, the police arrested Morgan, and I moved back home. Morgan is now out of my family’s life. And I am home where I belong. I’m with my daughter … my AVENGER. This part is important and I want everyone to hear it – As I, and my late wife, told the LAPD, Adult Protective Services, and anyone else who wanted to hear the truth: my daughter JC Lee has never abused me or my wife or in any way, or assaulted me or my wife physically or otherwise. Any statement otherwise is a lie invented by Morgan, or others who have over the years attempted to control me and distance me from my daughter and my trusted advisors. I love JC and deeply care for her. I apologize to those affected by any “hostage videos” that were released without my authorization. They are all based on lies. These videos apparently exist and are now (still) being used by Morgan to continue to terrorize me, my family and the professionals who sought to protect us from unscrupulous people like Morgan. My attorney and Jonathan Freund have confidence in Mr. Schenck’s representation of my daughter JC and I consider Mr. Schenck a friend of the Lee Family. I’ve been read every word of this statement and these words are my own thoughts and opinions about my ordeal under Morgan’s confinement. Because I cannot read well, my attorney Mr. Freund has written this statement based on the facts as I perceived and dictated them and as they were relayed to me after the fact by my caretakers. I strongly urge anyone who suspects their loved ones might be falling victim to conditions where they are prevented from speaking freely of, and to, their family and friends, be vigilant and never give up … even when the captor’s barriers seem impenetrable. Never lose hope. Keya Morgan was approached by Bleeding Cool for comment yesterday but did not reply to e-mails.